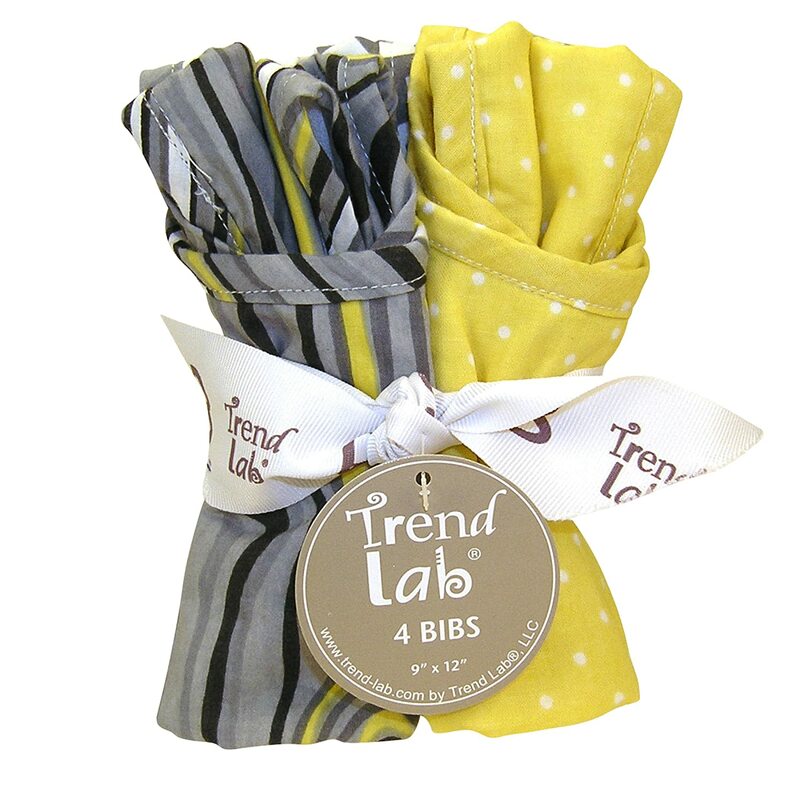 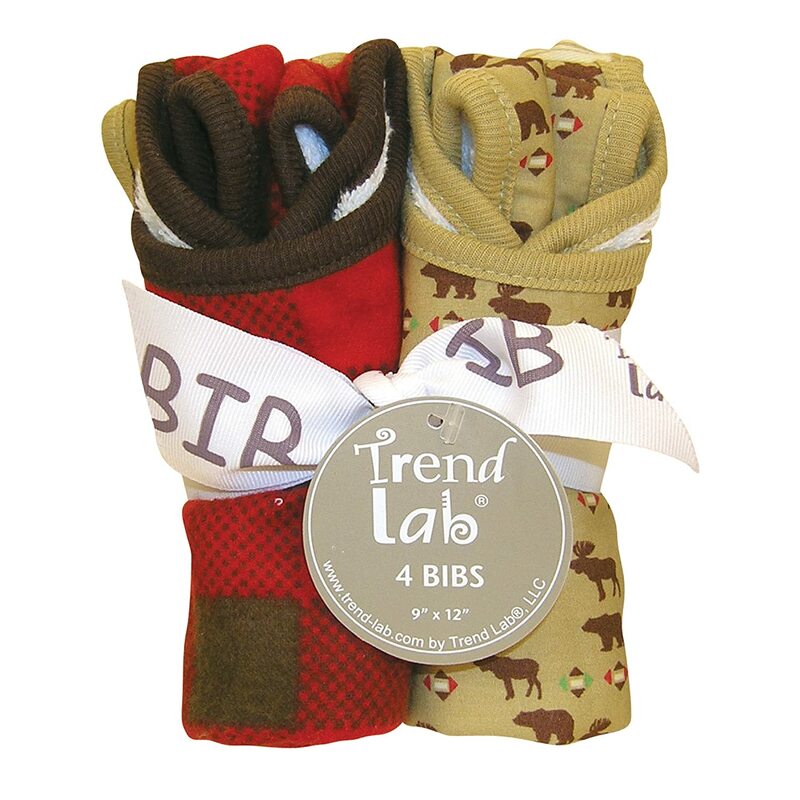 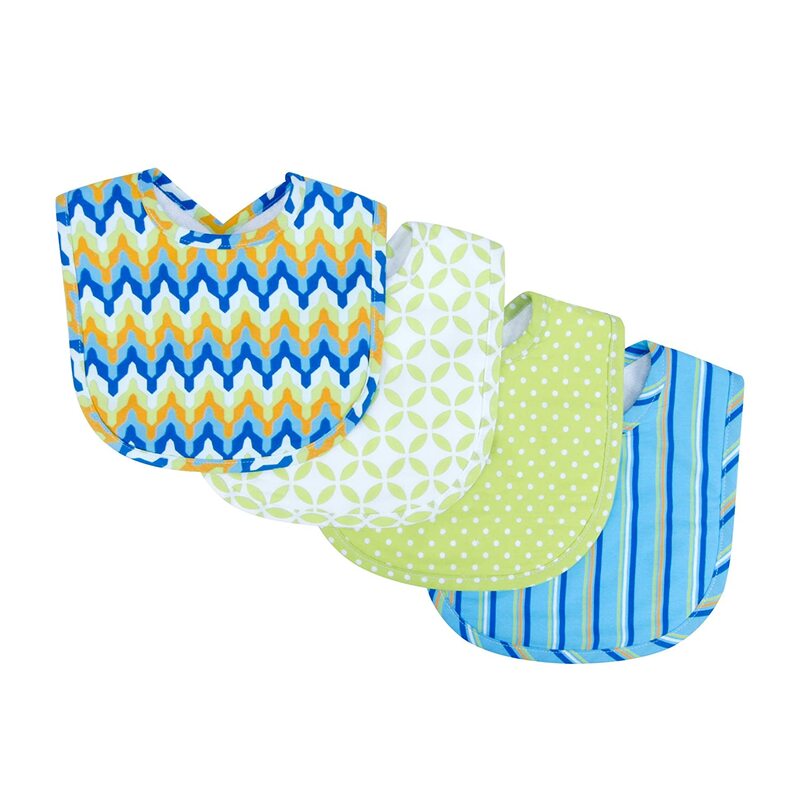 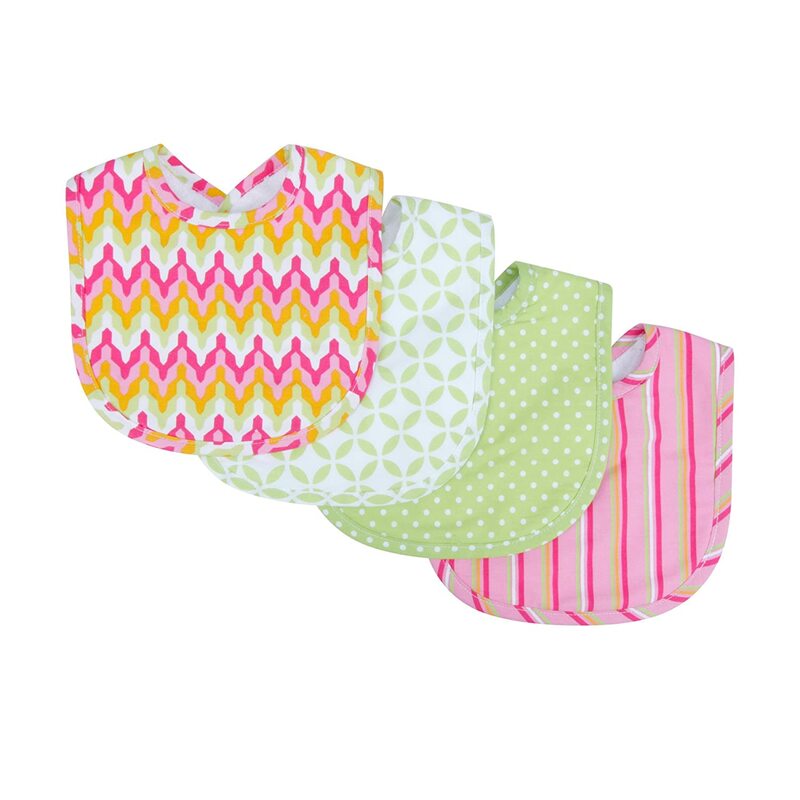 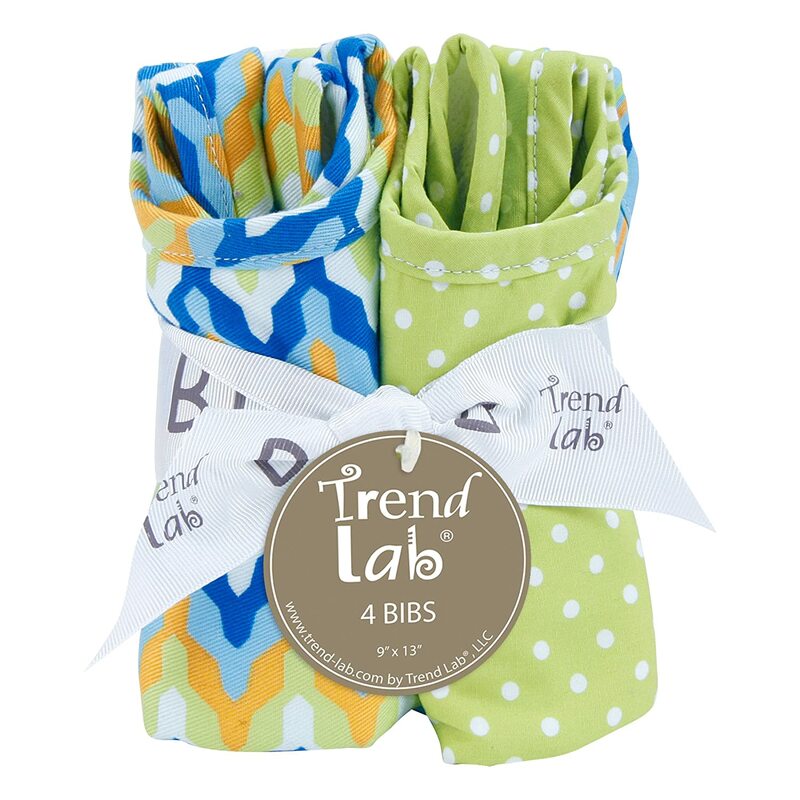 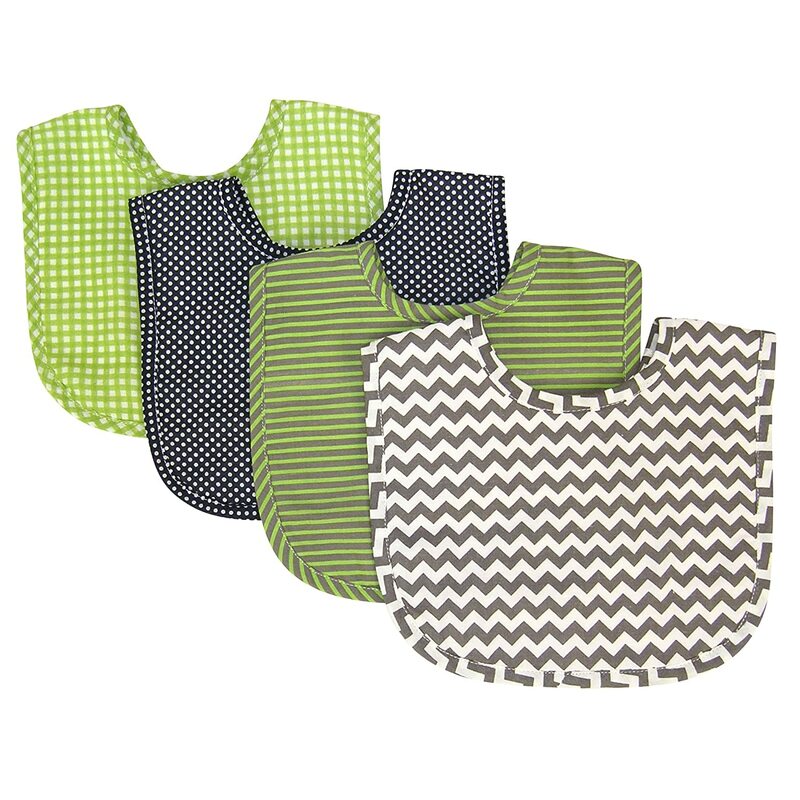 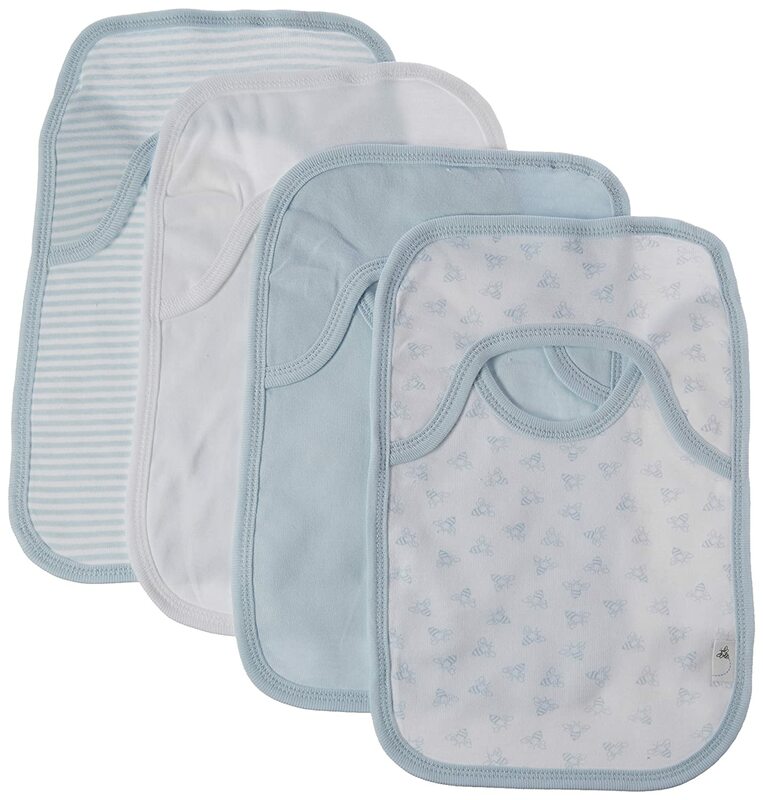 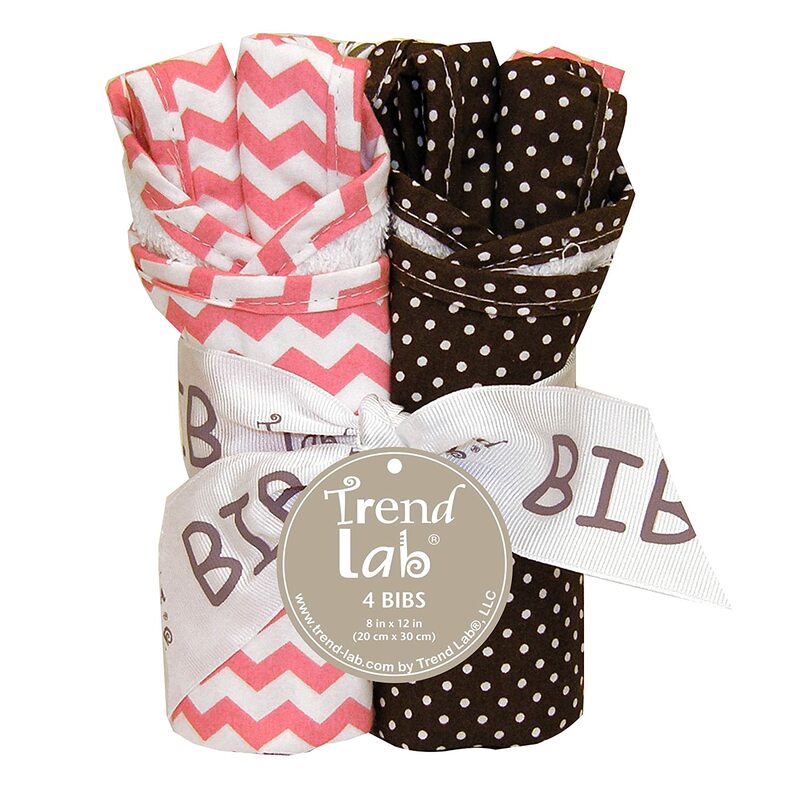 Each bib measures 9" x 12"
Keep messes to a minimum with this stylish Northwoods 4-count Bib Set by Trend Lab. 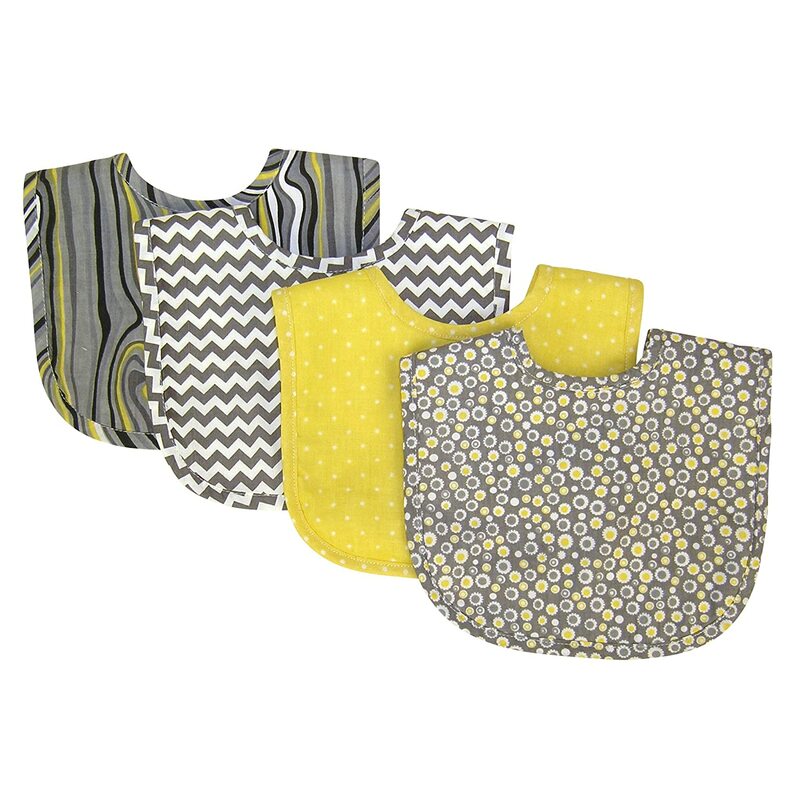 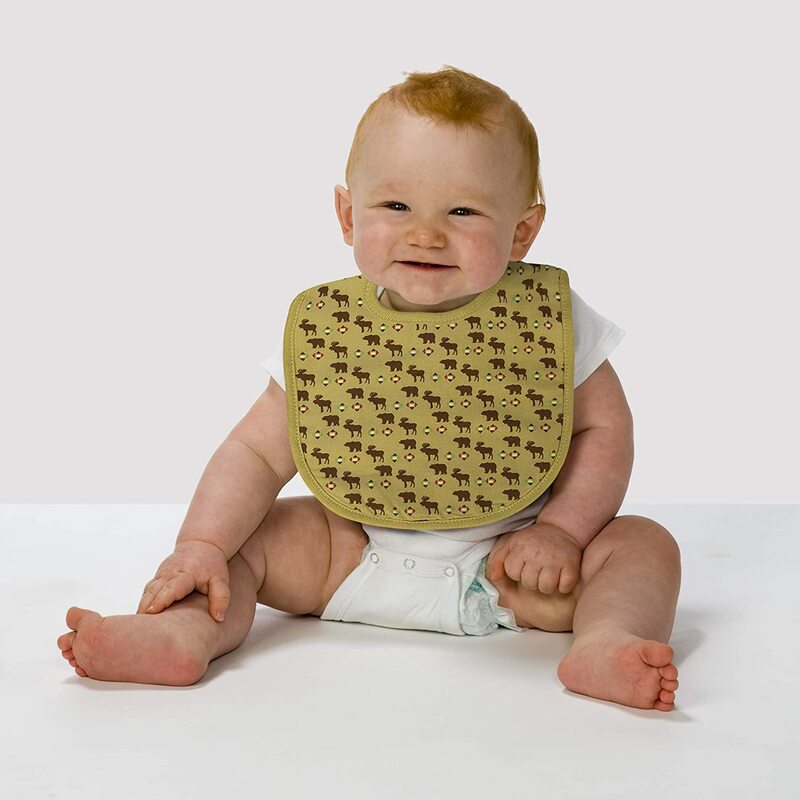 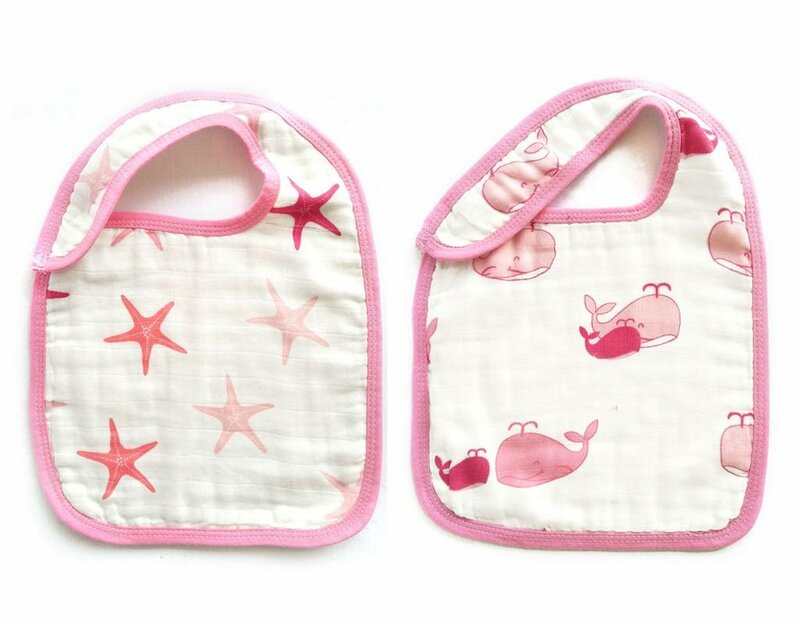 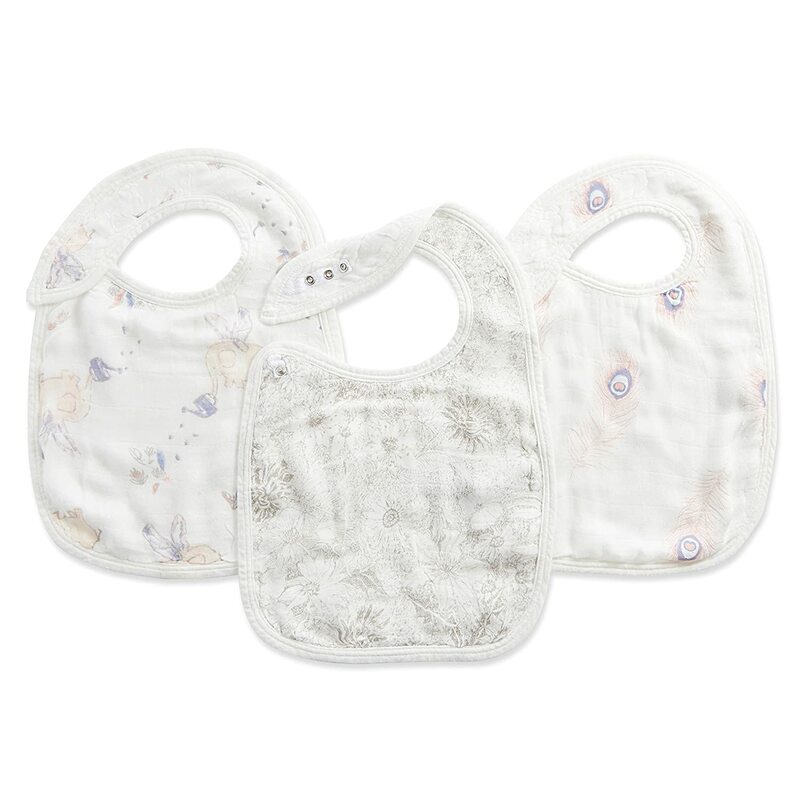 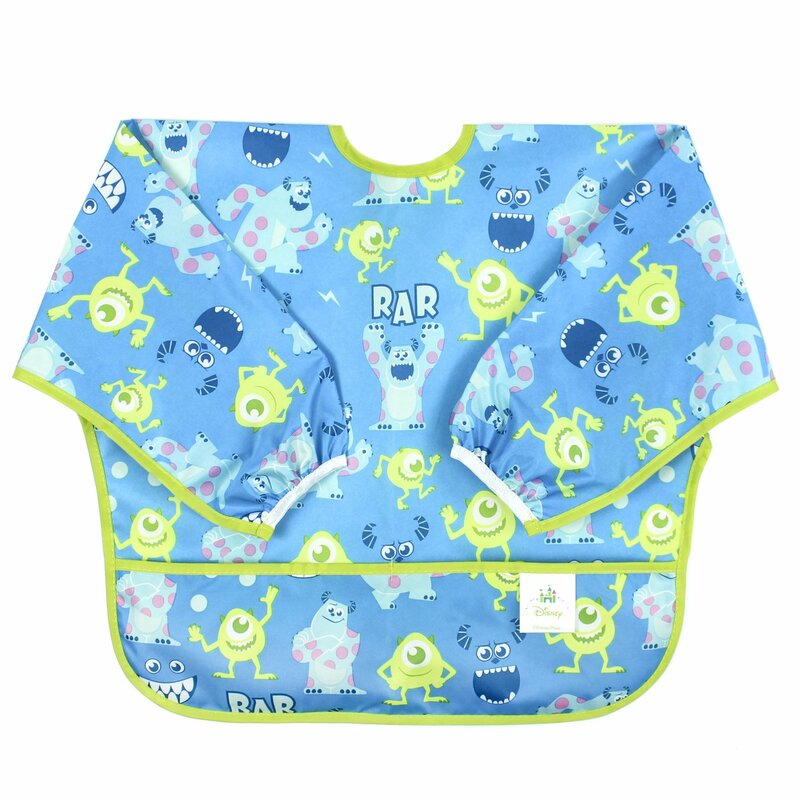 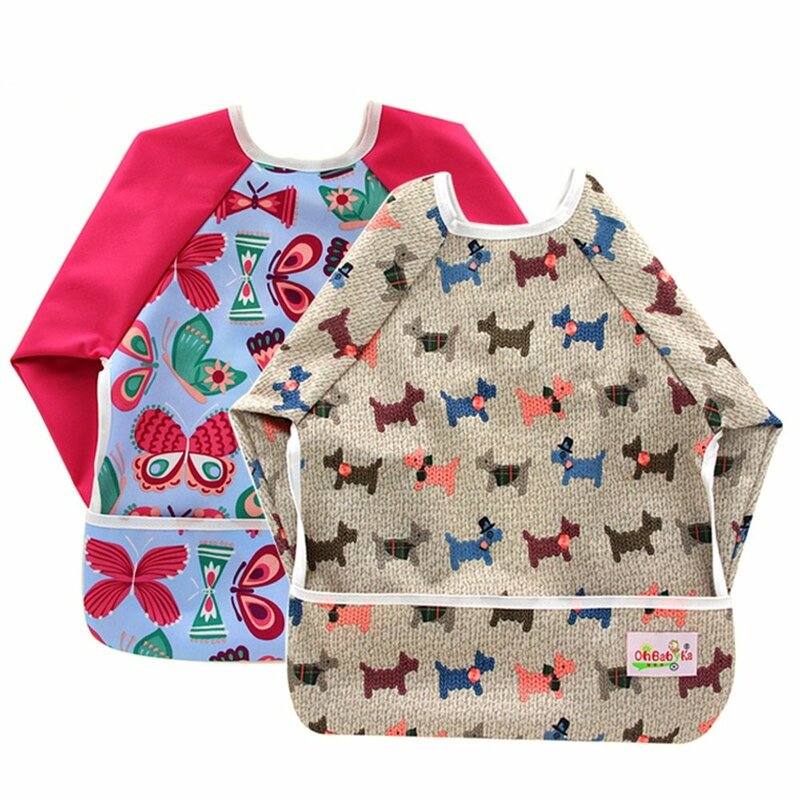 Set features four bibs each with fun, modern prints on the front and unbleached cotton terry on the back. 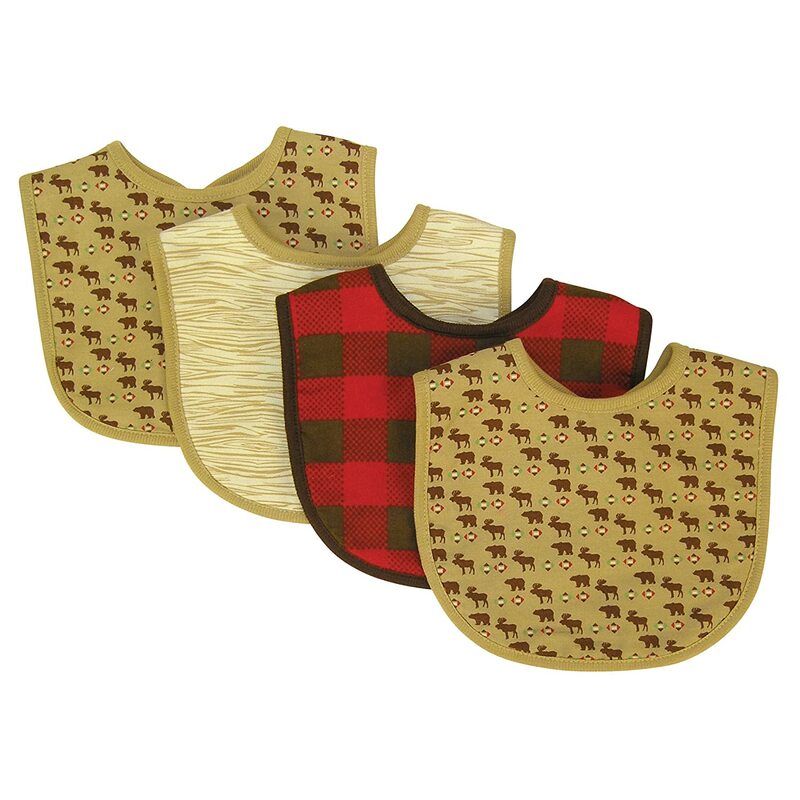 Bib patterns include: two with outdoors motif prints in oak, flax, chocolate brown, deep red and clover green with tan trim; one wood grain print in flax and oak with tan trim; and one classic buffalo check in deep red and chocolate brown with brown trim. 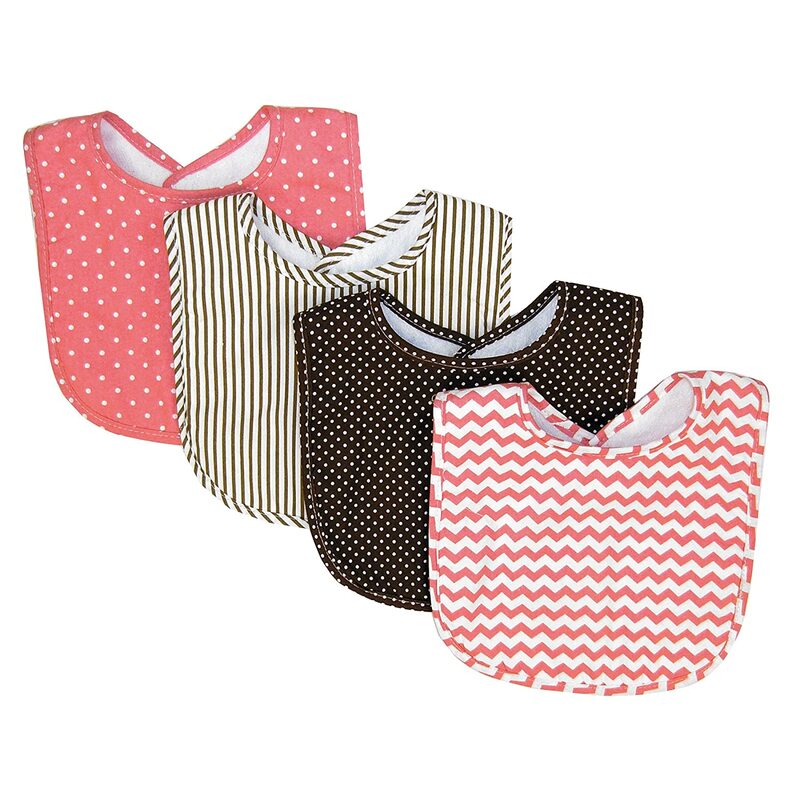 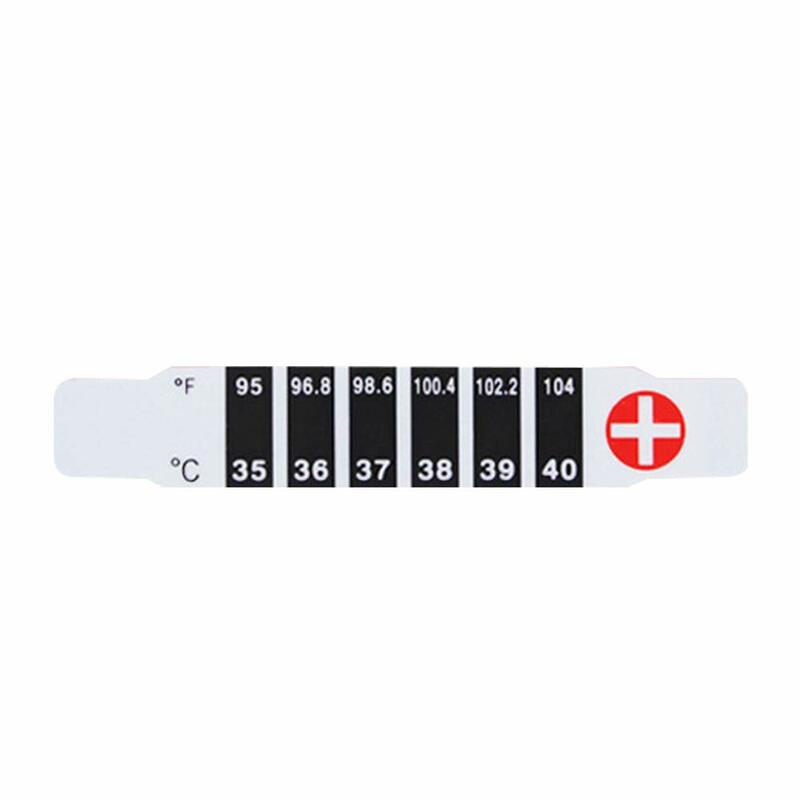 Each bib measures 9" x 12" with Velcro closure. 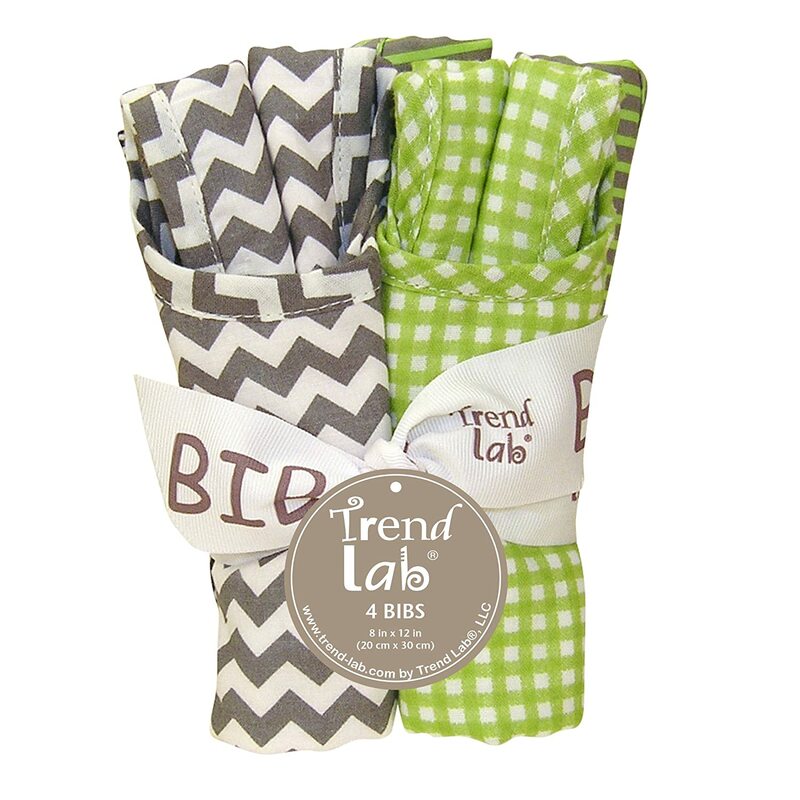 Coordinates with the Northwoods collection by Trend Lab. 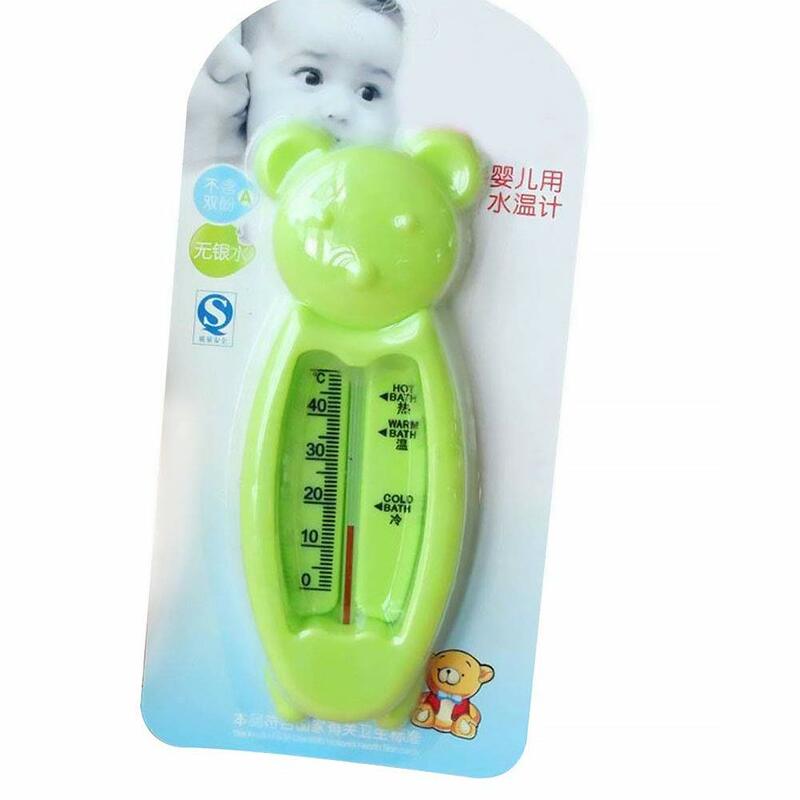 Really cute and thick. 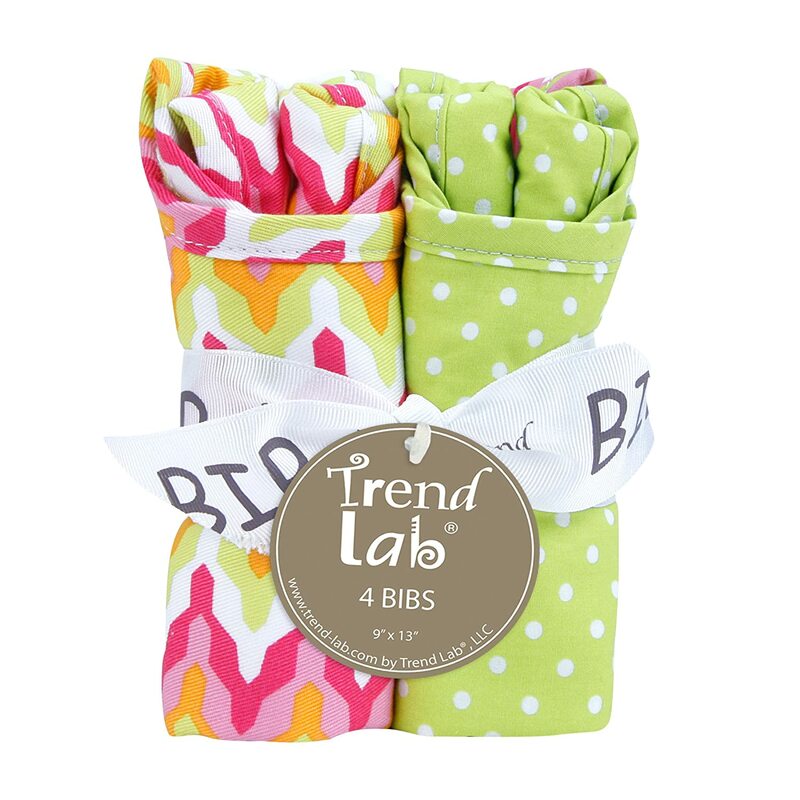 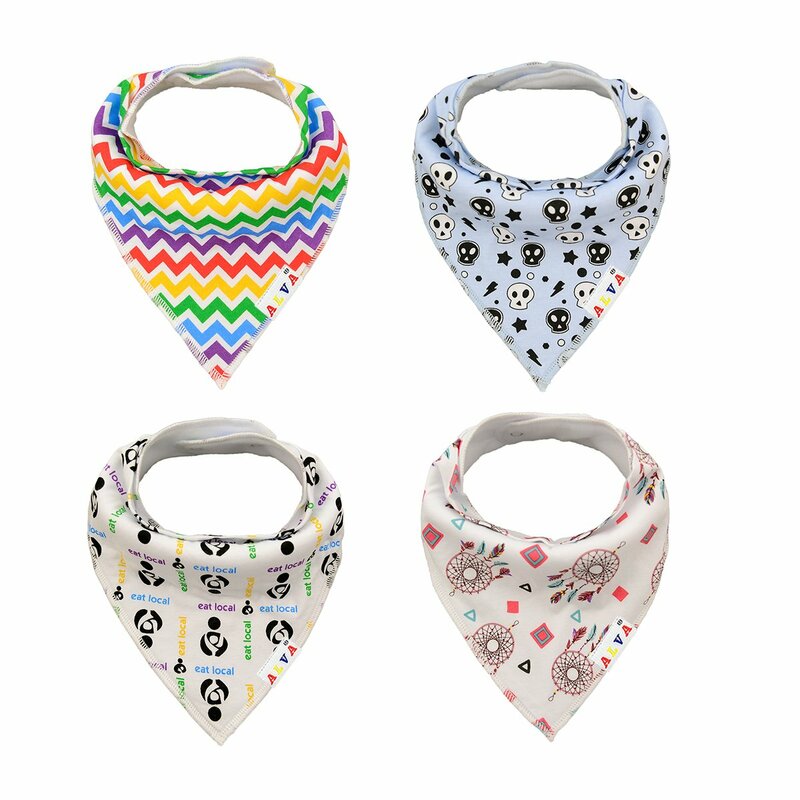 Great for our teething drooly baby.